The Oscar Telecast. It came, it bored, and it may very well still be going on. The 82nd Academy Awards to feature TEN nominees! 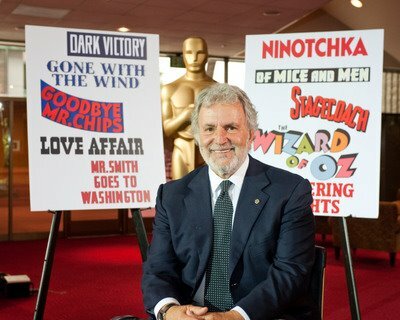 That’s AMPAS president Sid Ganis in the picture, looking all pleased with himself after making this riveting announcement. Notice he’s backed by two posters exhorting the anniversary of what many believe to be the greatest year in American Cinema, 1939. Perhaps Sid is under the impression that 2009 will be the next 1939. Sid, dream on.